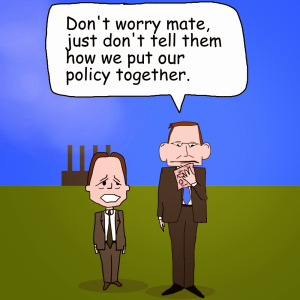 Before the introduction of carbon pricing Tony Abbott claimed that the price of petrol would go up by 6.5c per litre. It actually went down by 3.3 per cent in the first year. He claimed that the cost of living would skyrocket. Inflation for 2012-13 was 2.3 per cent which is at the lower end of the RBA’s target range. It was estimated that about 0.7 per cent of that rise was due to carbon pricing. To put that into perspective, the GST and related changes caused an increase to the CPI of almost 2.5%! Record low interest rates have also led to substantial savings on mortgage payments.